For the Cyber Monday background image I worked closely with developers to ensure that the timer animation rendered correctly and was juxtaposed with the other elements across various screen breakpoints. 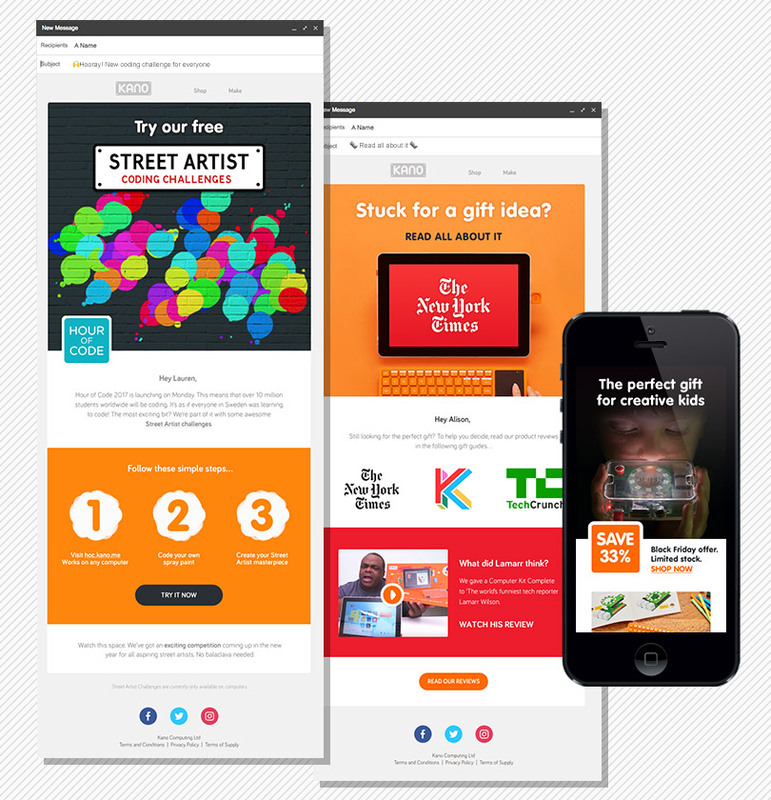 Kano email designs for Hour of Code, Reviews and Black Friday. 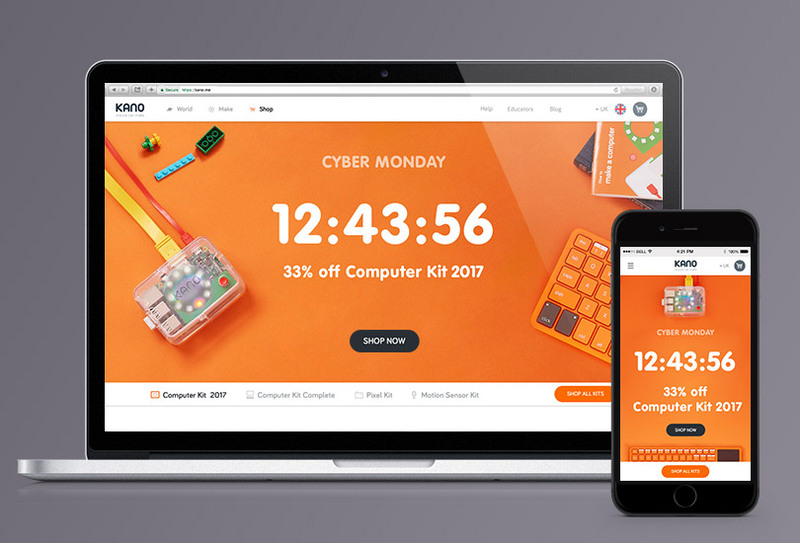 kano.me Cyber Monday home page animated banner image behind timer.